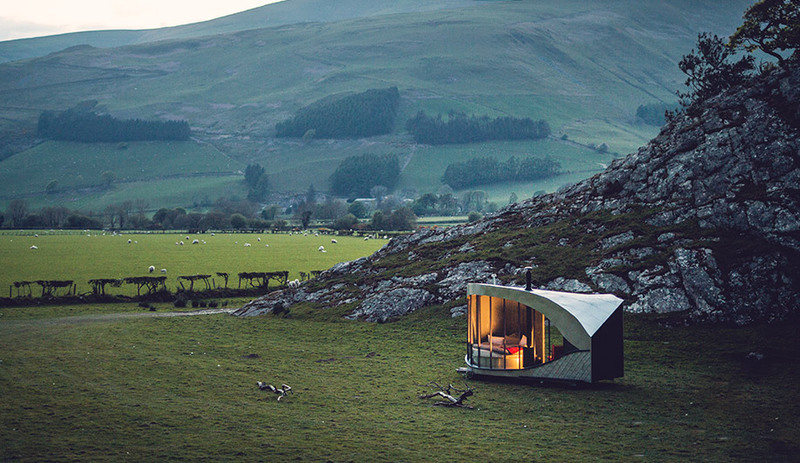 Eight pop-up hotel rooms, selected in an international design competition, have been installed in Snowdonia, Wales as part of Epic Retreats, a movable glamping resort. 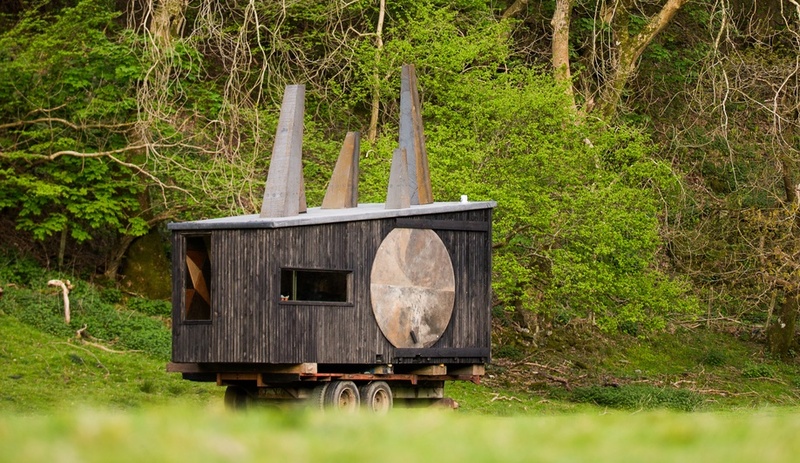 The appetite for tiny, portable, wheeled accommodation continues. 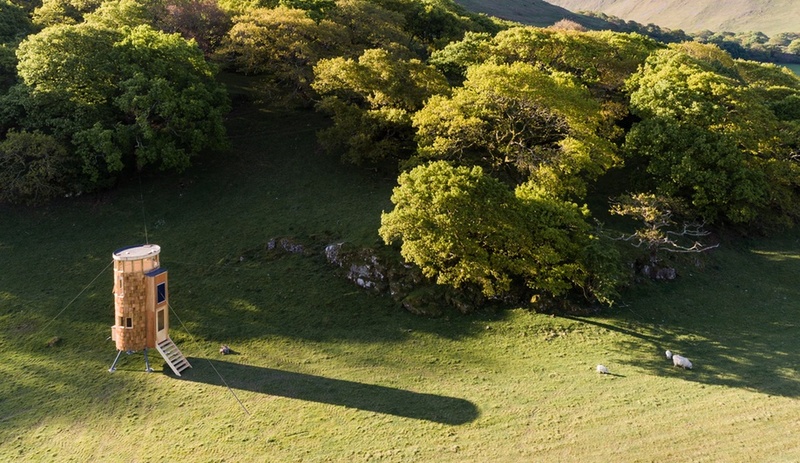 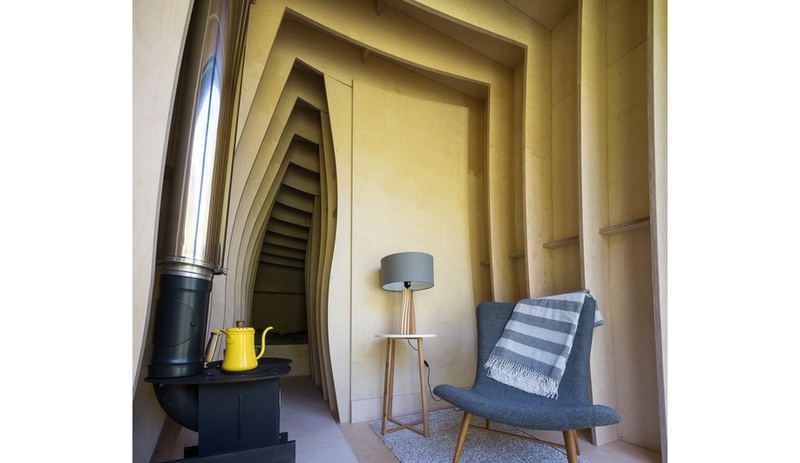 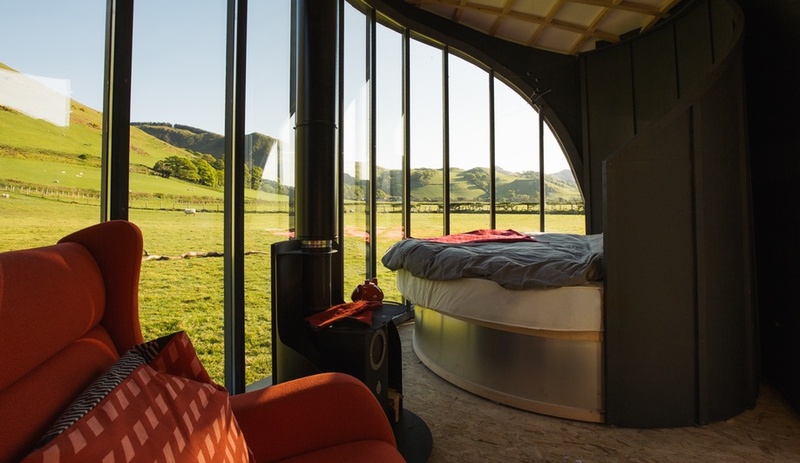 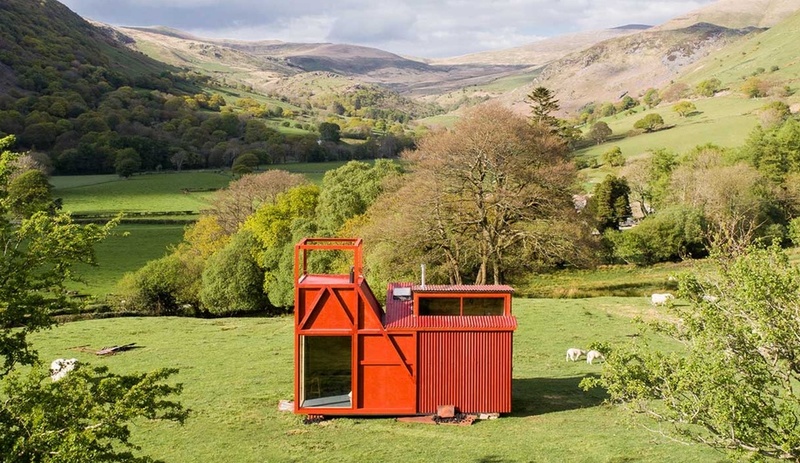 This summer, tourists in the UK will get the chance to indulge their curiosity in compact abodes with a stay at Epic Retreats, a collection of eight pop-up hotel rooms that will traverse the Welsh countryside from June to September. 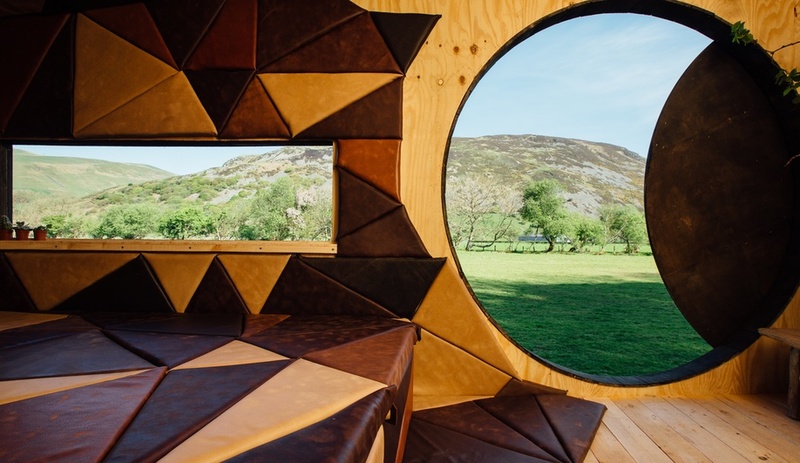 The cabins are the result of a design competition launched last fall to coincide with Wales’ Year of Legends, a year-long celebration of the country’s heritage. 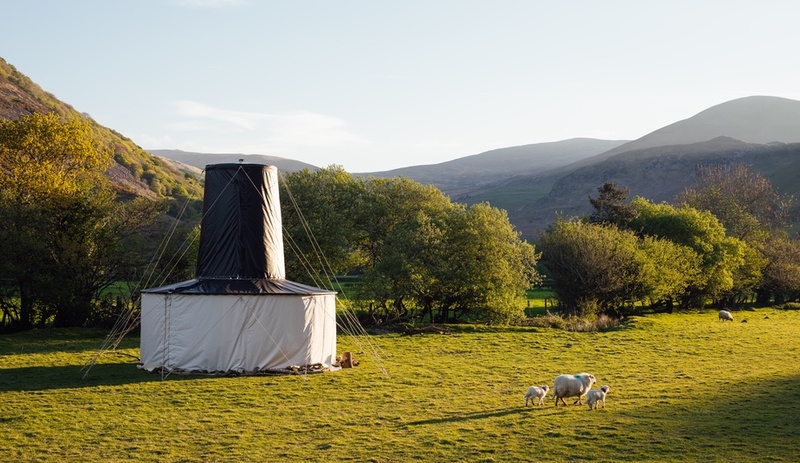 The project – a partnership between holiday rental firm Best of Wales, tour operator Cambria Tours and George + Tomos Architects – sought proposals for mobile, self-contained “glamping” units that make use of Welsh materials and include a bed for two, a seating area, a wood-burning stove and a bathroom, outfitted with a shower and composting toilet. 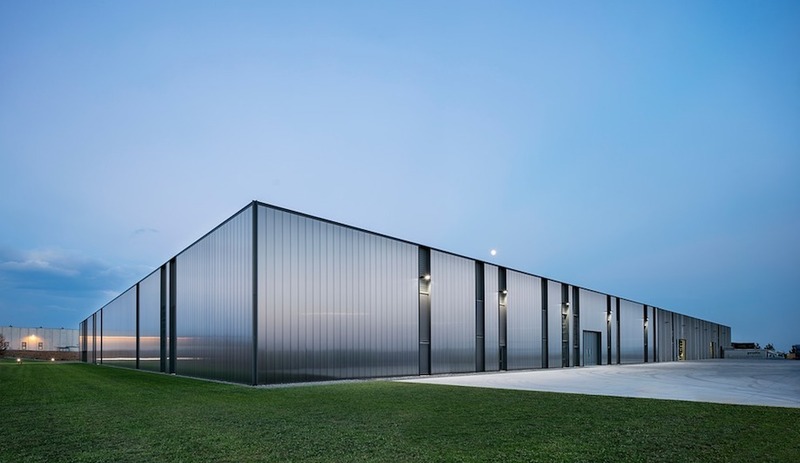 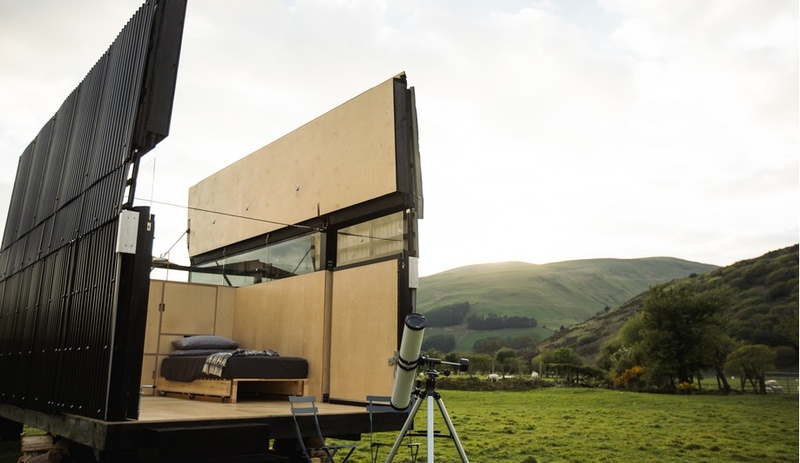 The winning pop-up hotel rooms come from both national and international firms, including Welsh firm Rural Office for Architecture and Australia’s TRIAS. 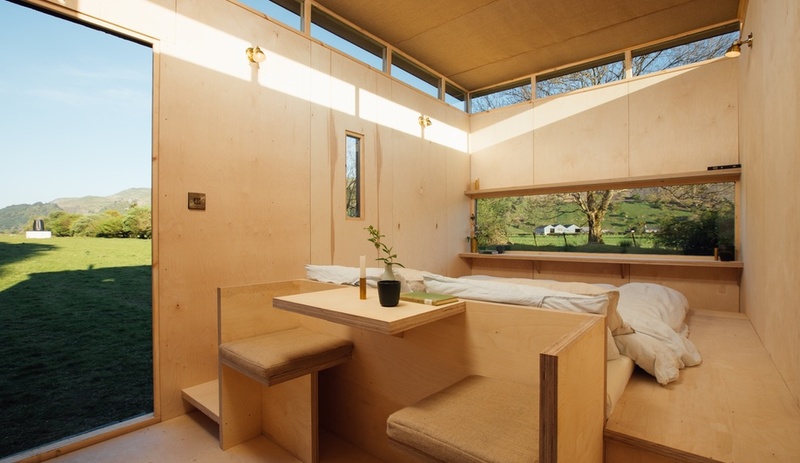 Our favourite unit, Arthur’s Cave, is by London’s Miller Kendrick Architects. 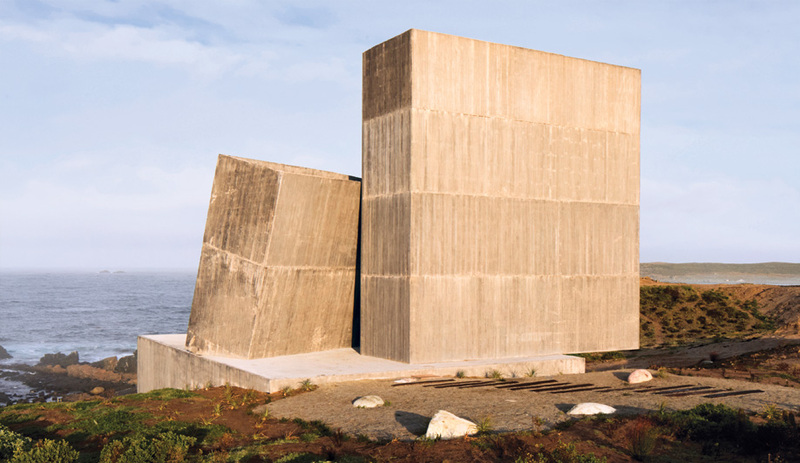 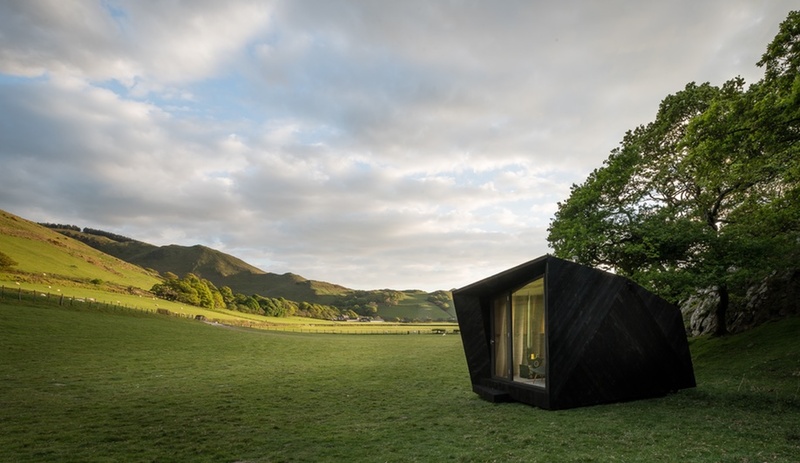 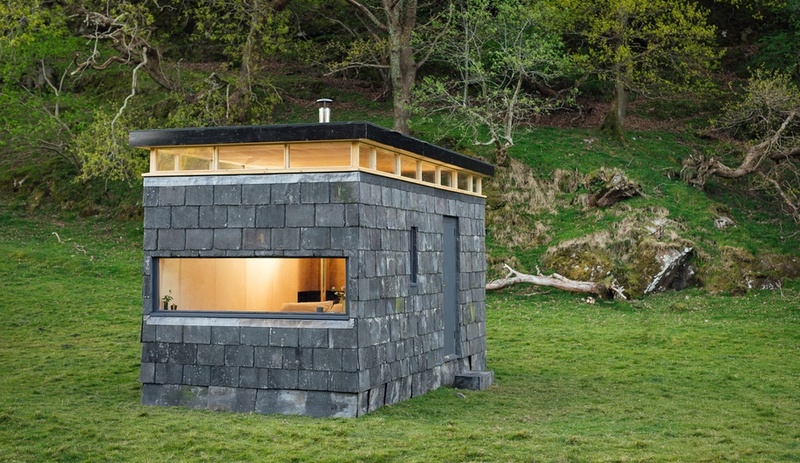 Arthur’s Cave is a faceted cabin clad in locally-sourced Welsh larch, stained black. 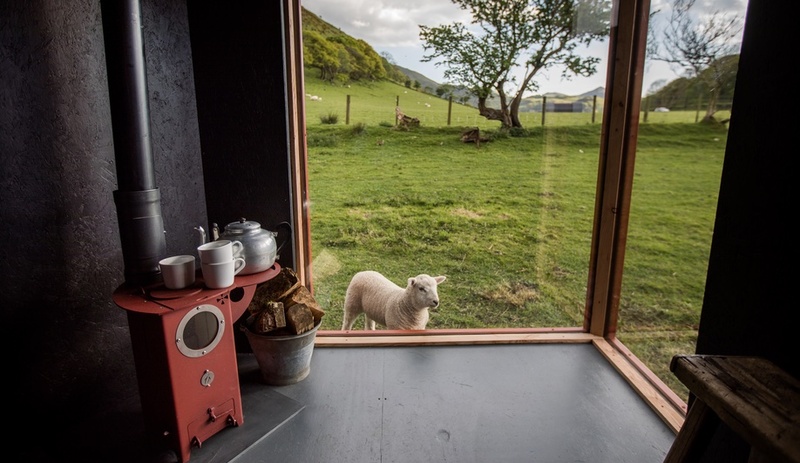 Sheeps’ wool, also locally-sourced, provides insulation. 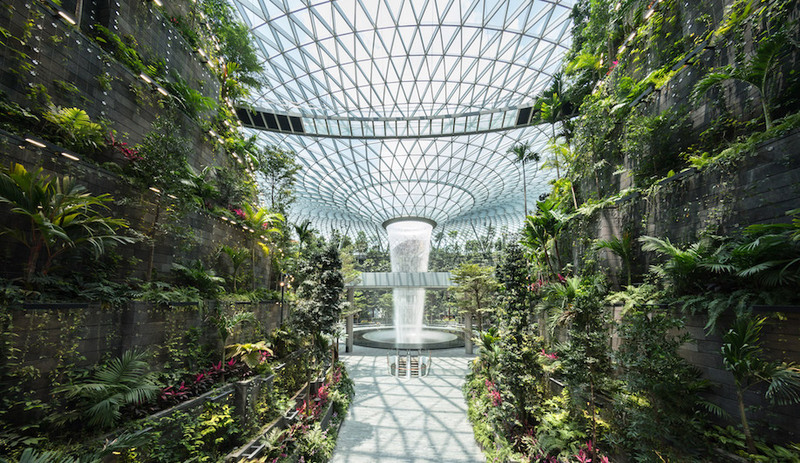 A glazed entryway offers sweeping vistas of the surrounding landscape and brings in natural light. 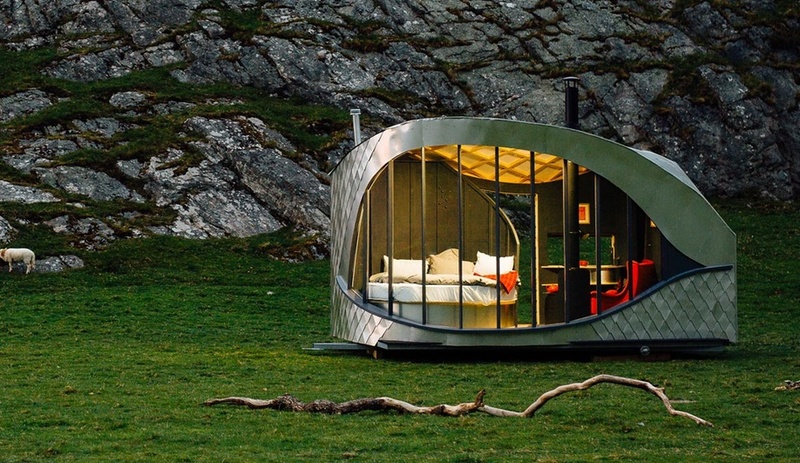 Inside, the hotel room has a modern edge. 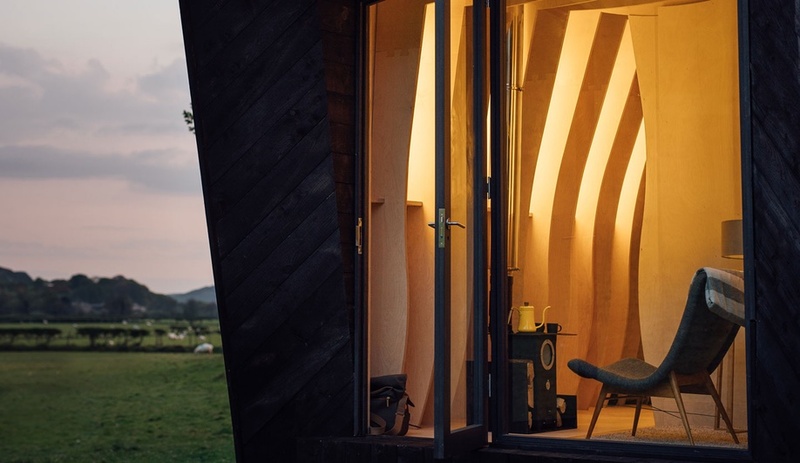 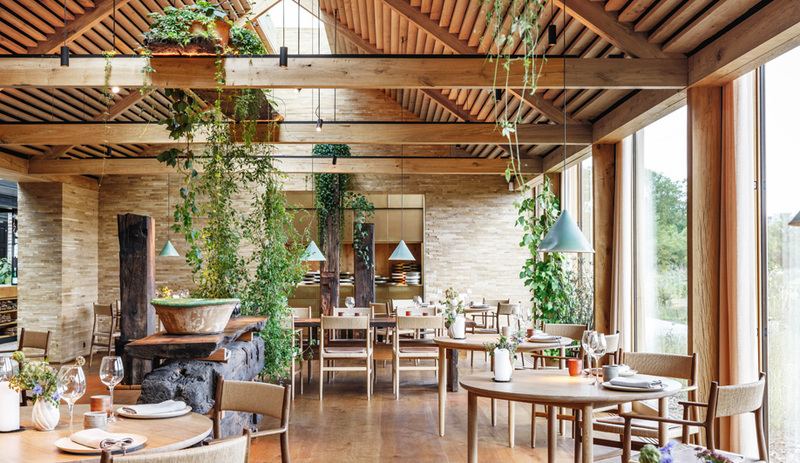 CNC-cut birch plywood ribs, fitted together using jigsaw joints, and sheathing panels create a sculptural interior that provides “structure, finish, fixtures and fittings, including a plywood sink and bath,” the firm says. 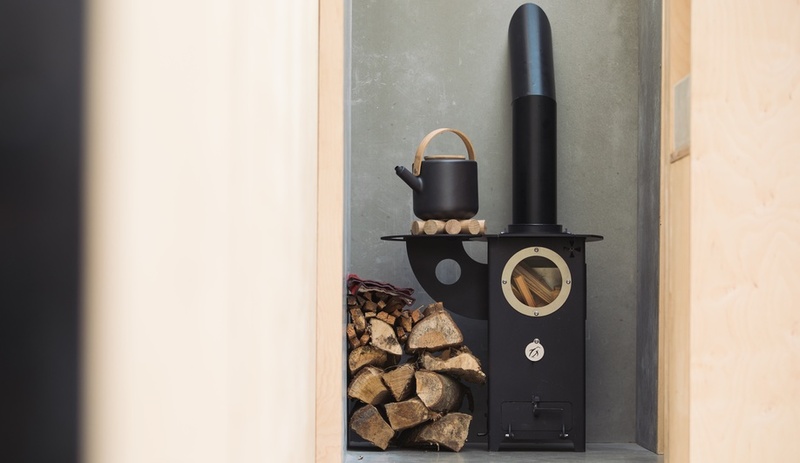 A small log burner heats the cabin, which is outfitted with LED lighting powered via photovoltaics. 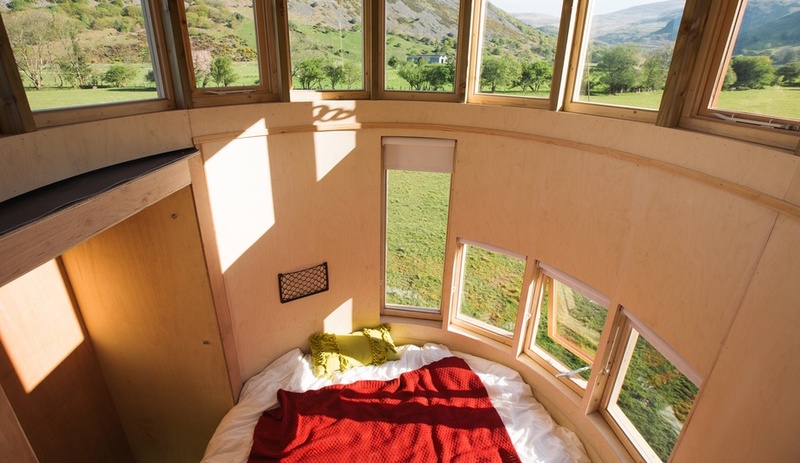 The eight cabins will welcome guests for weekday and weekend stays from June 5 to 30, in Southern Snowdonia, before relocating to Llŷn Peninsula, along a stretch of private beach, for bookings between July 10 and September 11. 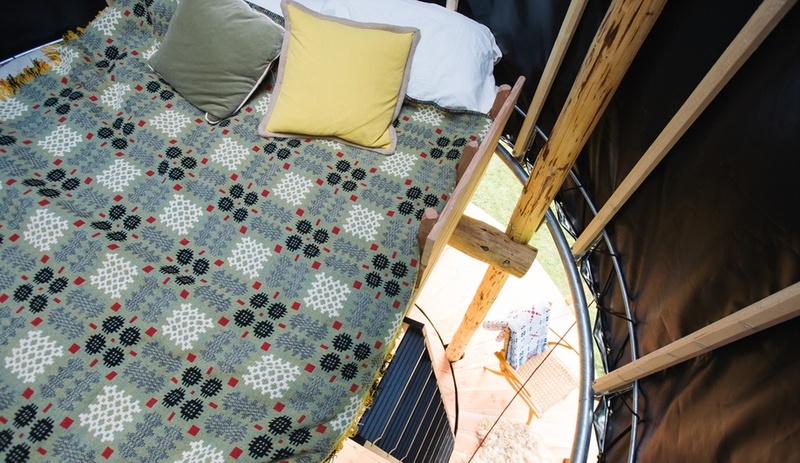 Check out the other pop-up hotel rooms below.